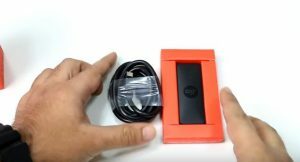 Jio Phone TV Cable: Connect Adapter with Smart (LCD, LED), How To Connect Jio Phone TV Cable, How to Buy/ Booking Jio Media Cable or TV Cable, Guide to Connect LED/ LCD/ CRT TV with Jio Phone,Jio Media cable demo & Full Guide | Mobile to Tv connector cable……. As we know JIO has brought a drastic change in Telecom industry, it has also introduced a new way of connecting JIO basic phone to TV and can watch HD channels in their TV (may be HD or normal TV without HDMI port) i.e JIO Media Cable. 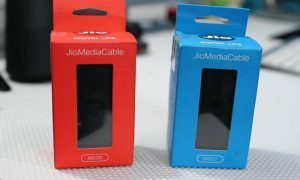 the JIO also provides a 5-6 hours of watch in the TV for free but before user need to recharge his JIO sim with Rs.309/- and should have a jio phone, Reliance released two versions of media cables, one of the media cable is for HD TV which has a HDMI port, the other is a media cable for the TV’s which does not have a HDMI port. JIO the word itself is now a big brand which is from Reliance company has shattered different brands in Telecom sector and went a part ahead in JIO usage by introducing JIO media cables and given many other features to connect to TV, the main and special option that JIO has given is play and share which many of media cable companies as not given, it is cost efficient too. one side of IP RCA dongle we can see a pin port to which IP RCA cable is connected, by using USB cable user can connect JIO phone to dongle, a power pin can be seen on a side of dongle, to this charger is to be connected as long as it is ON, now connect the RCA cable to TV and turn it ON , it takes a one or two minutes to connect to TV, now by opening JIO TV on the phone the channels can be tuned, the movies or videos or music present in the storage also can be played using play and share option. one side of IP HDMI dongle we can see a pin port to which IP HDMI cable is connected, by using USB cable user can connect JIO phone to dongle, a power pin can be seen on a side of dongle, to this charger is to be connected as long as it is ON, now connect the RCA cable to TV and turn it ON , it takes a one or two minutes to connect to TV, now by opening JIO TV on the phone the channels can be tuned, the movies or videos or music present in the storage also can be played using play and share option. the main difference between JIO and other media cable companies is play and share option, even though they provide share option they can’t make the cable to play what the phone asks to play on TV, the decision lies in the TV, whereas JIO media cable provides both play and share using single cable and decision lies in the phone. these media cable are easy to setup and user friendly, these media ables are also economical and price will be in hundreds only.